The last leg of our journey down Natchez Trace Parkway brings us to our third Mississippi State park, and our favorite of the three: Natchez State Park. This park is just a short distance off the Parkway; in fact, there’s a sign pointing to it right off the Parkway. The route in to the park is an interesting one. From highway 61 you turn on to State Park Road. The weary RVer thinks, “Ah, here I am at the park!” Well, not quite. You drive a short distance on a rough section of road with abandoned buildings nearly sitting on the pavement. 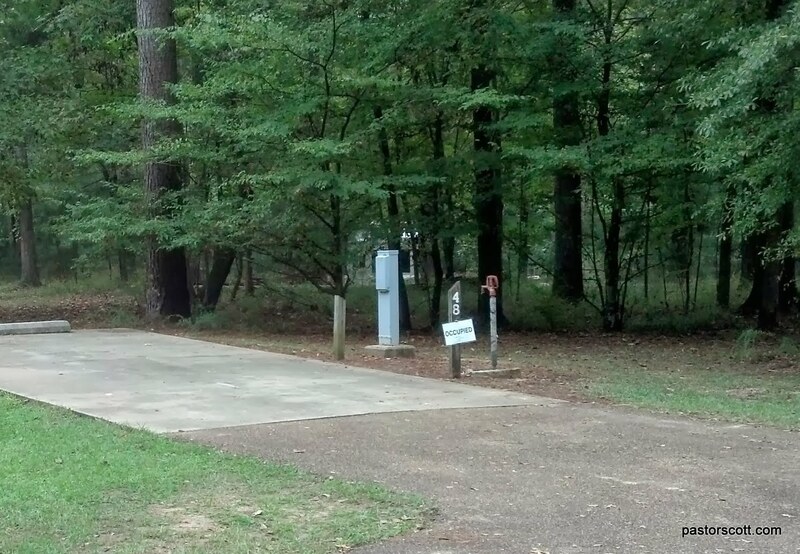 Then, to get to the state park Campground (and you want Loop B) you actually turn off of State Park Road on to Wickcliff Road and after a few minutes you come to a nice park entry. After that, you are still a couple of miles from the campground. 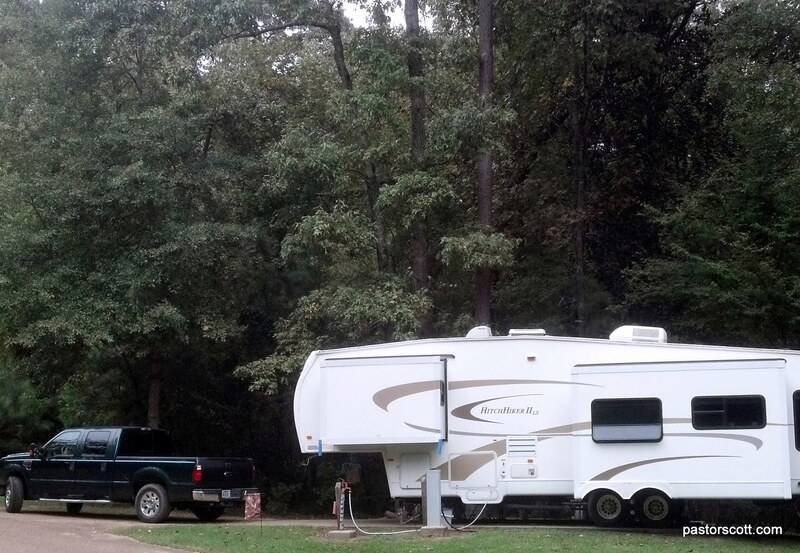 Our 2015 review – focused on Campground A – is here. We’ve visited some campgrounds and wondered just what the person who designed it was thinking. This park, though, is laid out wonderfully. Whoever put this one together could give lessons on campground design. The sites are level, paved, big enough, and angled so they are easy to back in to. The campground has 50 amp electric and water but no sewer hookups. The dump station is right at the entry to the campground and it, too, is an easy in and out. This is a big park on a nice lake. The campground, though, isn’t really on the lake – although there are a few sites down on the end of the campground that have a partial view of the lake though the trees. There are rental cabins, though, a mile or so from the campground that are built with beautiful lake views. We were allowed to change sites upon arrival, moving from one of the somewhat-close-to-the-lake sites to one closer to the bathhouse and, even better, with a small adjacent open area that gave my satellite dish a view of the southern sky. Also, my Verizon cell service is working fairly good with the signal booster along with about 3 bars of 3G data. 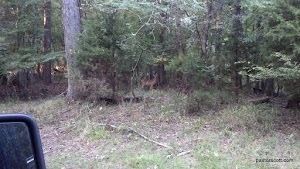 I’m tempted to complain about our noisy campground neighbors – no, not fellow campers, but the herd of deer making a bit of noise in the woods settling down for the night just a short distance outside our door! In case you missed it I really like this park. Obviously, this is Mississippi and a late summer stay here would include plenty of humidity and mosquitoes. The October weather during our stay here has been absolutely perfect. I can’t imagine it being better. 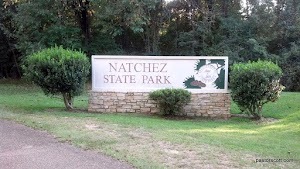 Jackie will post a review of our sightseeing in the area so I’ll just say that Natchez State Park is an excellent base of operations for exploring nearby Natchez, MS. We’re about 13 miles from the city. 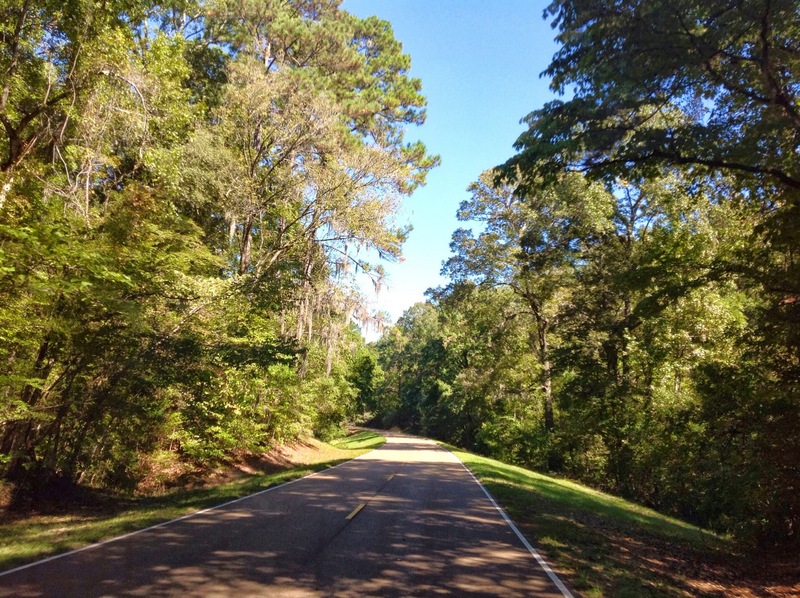 Since this is our last stop on Natchez Trace Parkway I’ll add a few comments about driving the parkway. I’ve thoroughly enjoyed the 400+ mile drive down the Parkway. The pretty, unspoiled scenery, the rich history, the lack of commercial traffic or even roadside advertizing, and the leisurely 50 mph speed limit combine to make this a terrific drive. I highly recommend this Parkway; it is truly an American treasure. If you RV Natchez Trace Parkway I highly recommend that you spend some time at Natchez State Park. 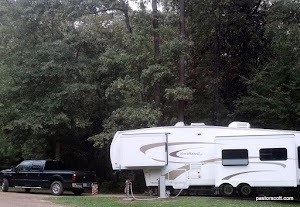 This entry was posted in Scott and tagged camping, Mississippi, Natchez Trace Parkway, nature, review, state park. Bookmark the permalink.